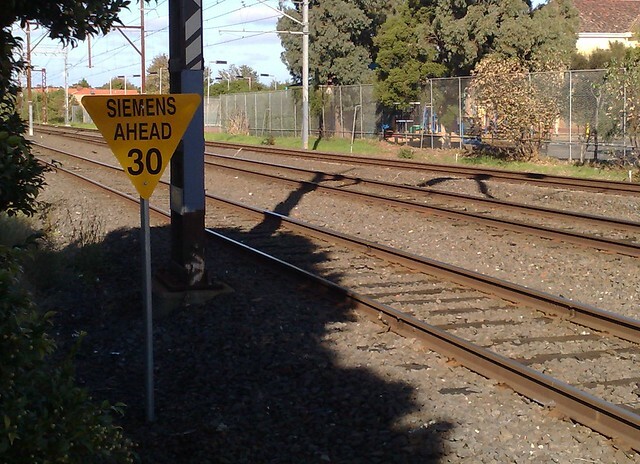 The Siemens trains have had problems since their introduction in 2003. Speed limits have now been applied at numerous locations on the lines where they run, so they have to crawl into stations with a level crossing on the far side. This has led to punctuality problems on the lines where they run. This week’s new timetable includes an extra few minutes on the Frankston line to take into account the slow running. Metro say they’re close to a solution — we can only hope that’s true.